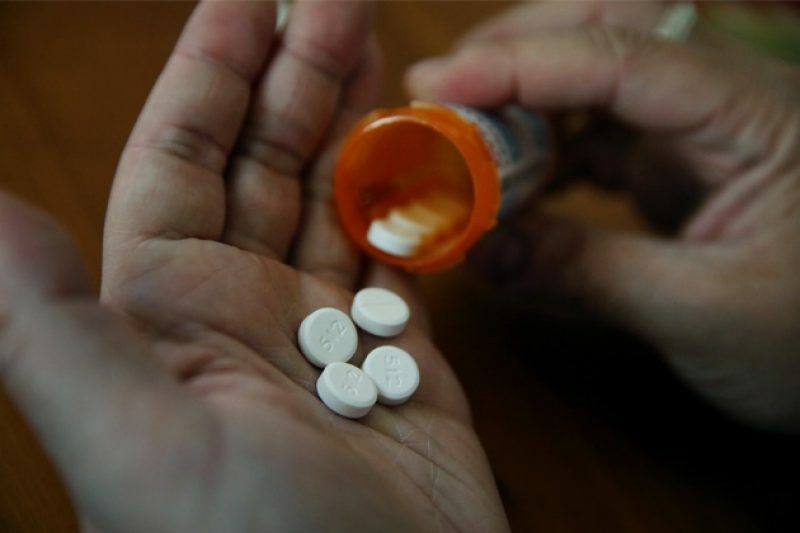 The number of doctors who each prescribe millions of dollars of medications annually in Medicare’s drug program has soared, driven by expensive hepatitis C treatments and rising drug prices overall, federal data obtained by ProPublica shows. The number of providers who topped the $5 million mark for prescriptions increased more than tenfold, from 41 in 2011 to 514 in 2015. 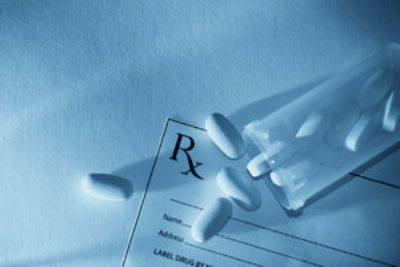 The number of prescribers—mostly physicians but also nurse practitioners–exceeding $10 million in drug costs jumped from two to 70 over the same time period, according to the data. Use this tool to compare how your doctor prescribes medications in Medicare's drug program with other doctors in the same specialty and state. Explore the app. Most of the doctors atop the spending list prescribed Harvoni or Sovaldi, relatively new drugs that cure hepatitis C. Other providers on the list prescribed pricey drugs to treat cancer, multiple sclerosis and rheumatoid arthritis. Medicare’s drug program, known as Part D, covers more than 41 million seniors and disabled people. In 2015, it accounted for $137.4 billion in drug spending, before factoring in rebates from drug companies. That was up from $121.5 billion a year earlier. During the recent presidential campaign, both Hillary Clinton and Donald Trump pledged to tackle the rising costs of prescription drugs. Since his election, however, President-elect Trump’s transition agenda for health care hasn’t featured the topic, a shift the Los Angeles Times reported. Medicare has released top-level data on drug spending for 2015, including the number of doctors who prescribed medications worth more than $1 million. But the agency has only published data on individual doctors up to 2014. Dr. Ben Thrower, medical director of the Multiple Sclerosis Institute at the Shepherd Center in Atlanta, was near the top of the list in 2014. He prescribed medications costing $11.5 million that year, mostly for multiple sclerosis drugs. “We get that it’s very expensive,” Thrower said. “I think all the MS providers working in the U.S. would like to see the costs go down.” But prices have climbed steadily in recent years for drugs used to treat the neurological condition, even those that have been on the market for quite a while. Most of the spending on Thrower’s prescriptions – $8.5 million — was for MS drugs Tecfidera and Copaxone, which can slow progression of MS and reduce the chance of relapse. Thrower has received payments from the makers of those and other MS drugs, but said he cut ties with the companies in January of this year. Thrower said he no longer prescribes Tecfidera to new patients because it can lower white blood cell counts, putting them at risk for infections. Notes: Counts include initial prescriptions and refills dispensed. Retail price includes patients’ out-of-pocket costs but does not reflect drug maker rebates. *Average prescriptions per patient, per provider has been adjusted to give more weight to doctors who treat more patients. (The unadjusted average is 5.6). 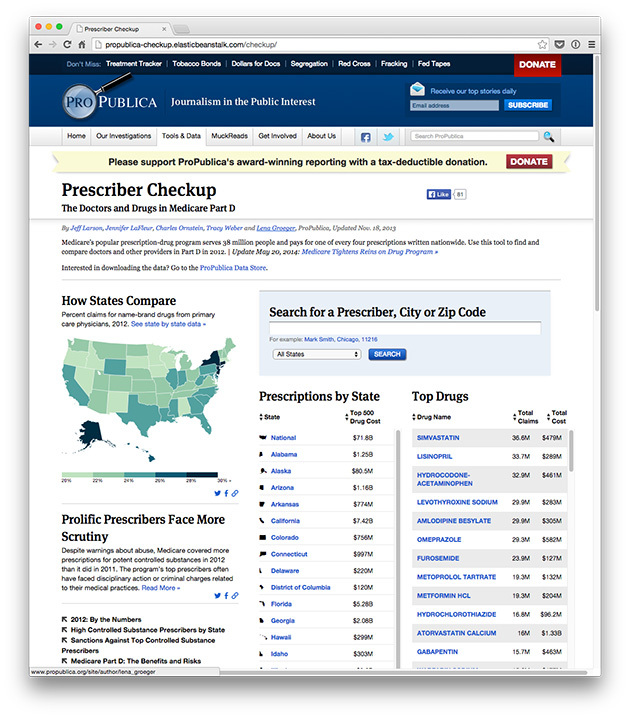 Today, ProPublica is updating its Prescriber Checkup online tool, which allows you to look up your doctor and see how his or her prescribing in Medicare Part D compares to others in the same specialty and state. Our tool covers the year 2014. You can compare the percentage of each doctor’s prescriptions that were for brand-name medications, the average cost per prescription and the average number of prescriptions per patient, among other things. Allyson Funk, a spokeswoman for the Pharmaceutical Research and Manufacturers of America, the industry trade group, said Medicare’s figures leave out important context. These rebates are confidential by law, but Medicare said this week that the average rebate for brand-name drugs in 2014 was 17.5 percent. The new data on high-spending prescribers is the latest indication of the burden of drug prices on government health programs. Source: The Centers for Medicare & Medicaid Services. In the past couple of years, Medicare’s drug tab has surged, in large part because it picks up the vast majority of the cost of drugs once enrollees exceed a certain threshold each year. In 2015, beneficiaries over the limit, which was $4,700, spent $51.3 billion on drugs. In 2013, the figure was $27.7 billion, government data shows. (Taxpayers, through Medicare, pick up 80 percent of the cost of this so-called catastrophic benefit.) The Associated Press first reported the ballooning cost in July. Another sign could be seen in a drug dashboard released by Medicare this week. It showed that 1 percent of drugs prescribed in the Part D program accounted for more than one-third of the program’s cost in 2015 (before rebates). Some drugs were incredibly expensive. The drug H.P. Acthar Gel, used to treat several conditions, such as multiple sclerosis relapses and a rare kidney disease, cost an average of $162,371 for each of its 3,104 users—a higher per-user cost than any other drug in the program. That’s up significantly from several years ago, when ProPublica flagged the drug’s expense. Harvoni, used by more than 75,000 people, cost an average of $92,847 per person, for a total cost of $7 billion (also before any rebates). Chernew said that, in the long term, Medicare and insurance companies have to examine the total cost of caring for patients with certain diseases, taking into account drugs, hospital visits, medical tests and more. Only then can anyone tell if certain expenses, such as a pricey new drug, are justified. Download the data behind this story from the ProPublica Data Store. Physicians say their top priority must be the patients in front of them, not the costs to the system. Dr. Bruce Bacon, a liver specialist at St. Louis University, had the highest total Part D drug costs in 2014, $22.7 million. He was a frequent prescriber of Sovaldi and Olysio, another expensive hepatitis C medication. Bacon did not return a call for comment for this story. In a 2015 interview, he said he did not realize his prescriptions were so costly to Medicare. Thrower, the multiple sclerosis specialist, said the high cost of drugs frustrates him and his colleagues, but ultimately the successful treatment of patients comes first.